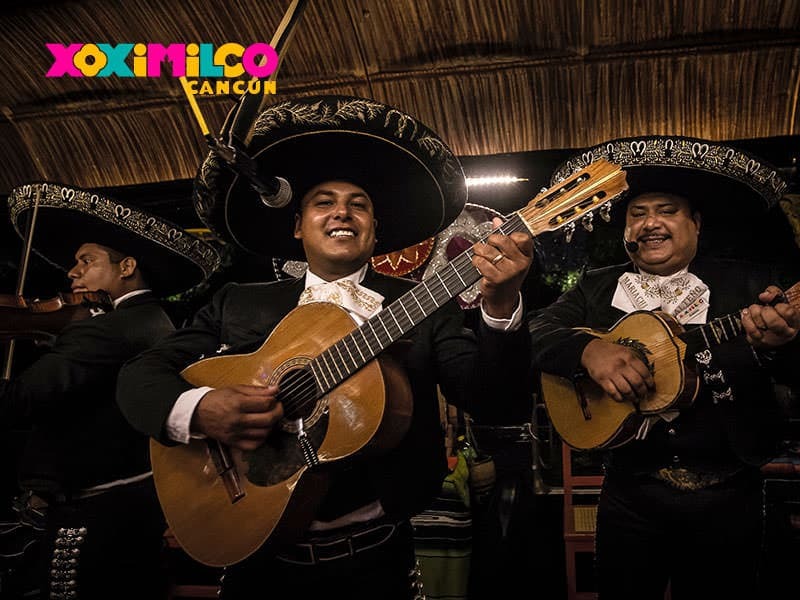 The Tour Xoximilco is a great choice to make new friends, celebrate an important event, or just be a part of this tradition of Mexico in its golden age. 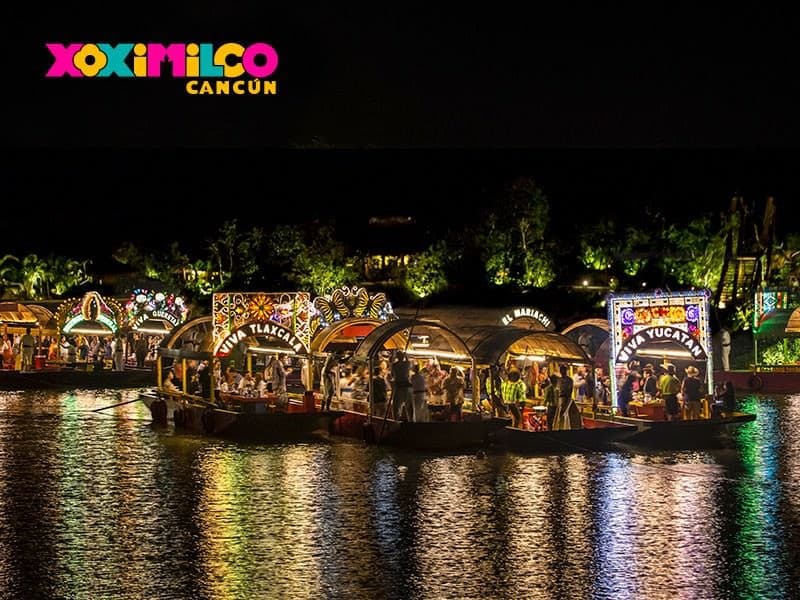 Enjoy a journey through canals on board a Mexican Gondolas, dance and sing with live traditional music, enjoy delicious tastings of Mexican cuisine and toast with the classic tequila. 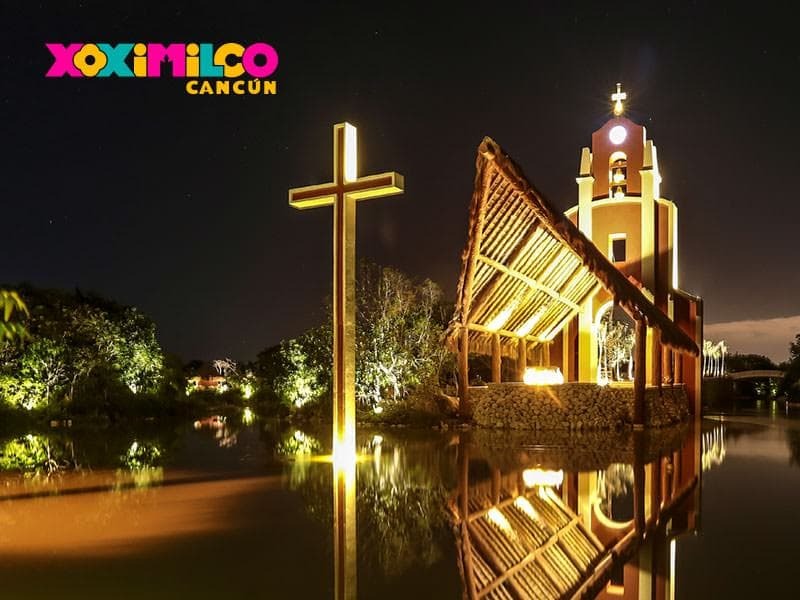 Book now and enjoy Cancún nightlife in Mexican style! 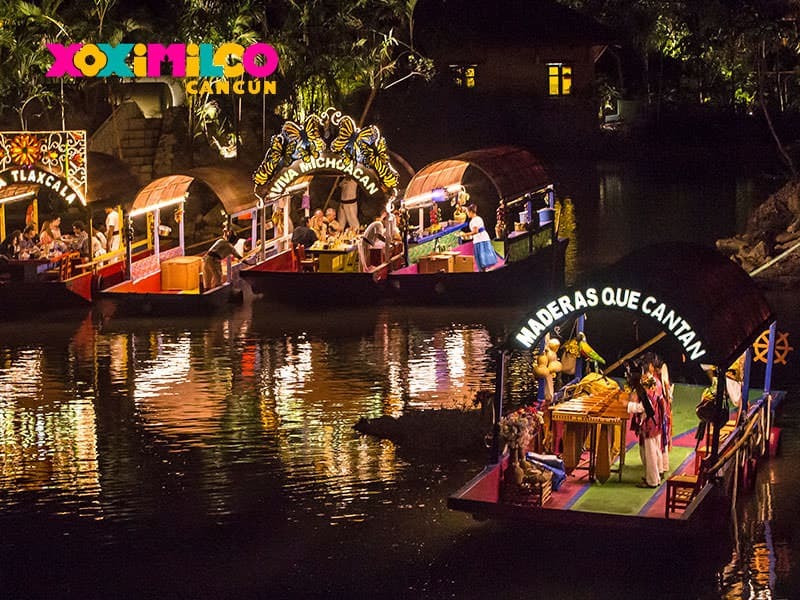 Important note: the Mexican Gondolas have a maximum capacity of 20 passengers! September to March: 7:15 p.m. to 12:00 a.m.
Carnival-type games at the start of the evening. Mexican gondola ride through festive canals. 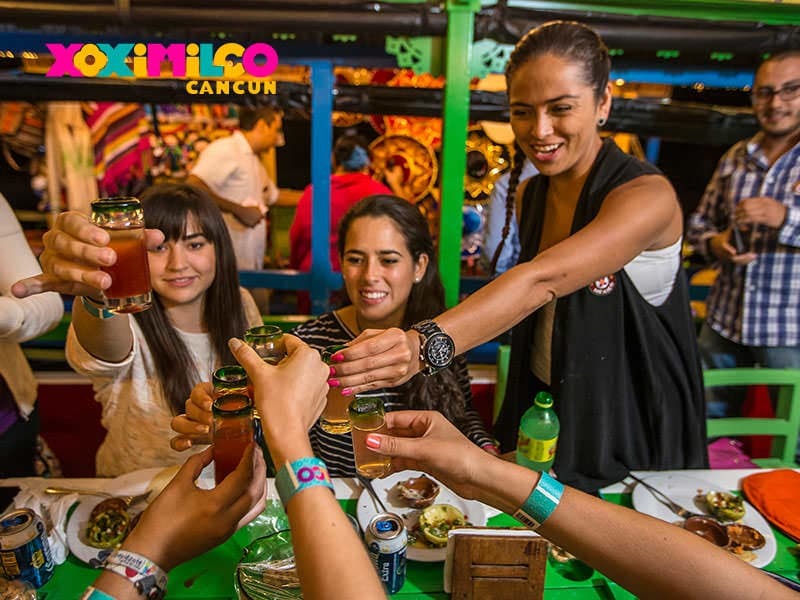 Dinner with the distinct flavors of Mexican cuisine. Open beer, tequila, rum and vodka bar, with soft drinks and fresh flavored waters. 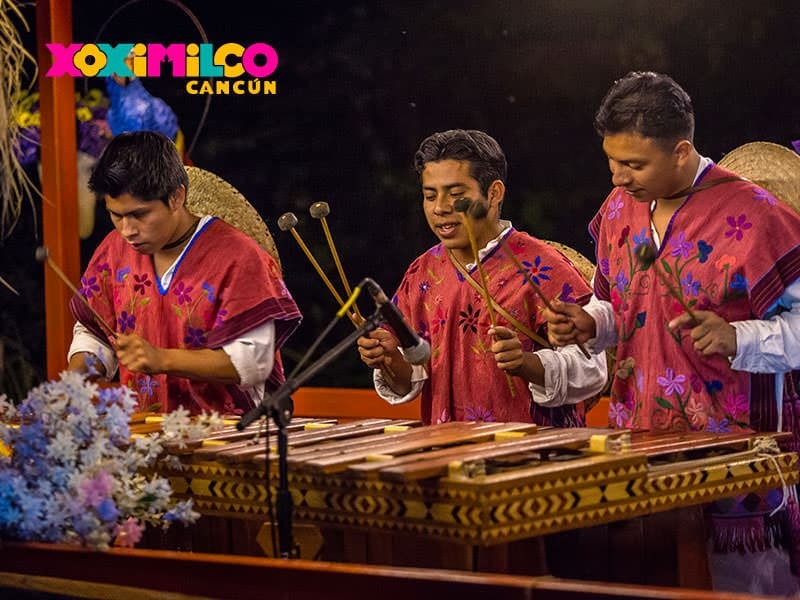 Different ensembles playing traditional live music: mariachi, norteño, ranchero, jarana marimba, banda de pueblo, and campirano. 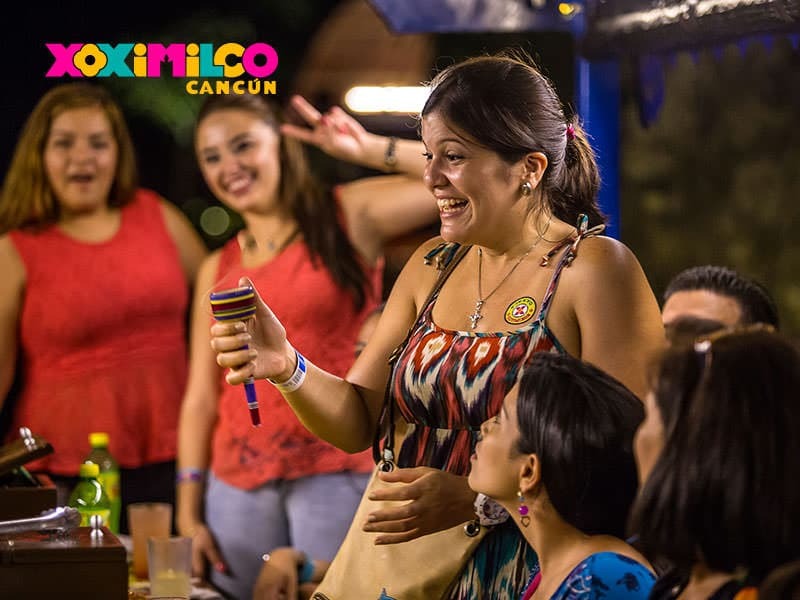 Personal and personable host who will accompany you during the tour with games, information about the dishes and the guarantee of fun. Other services (ATM and shops). 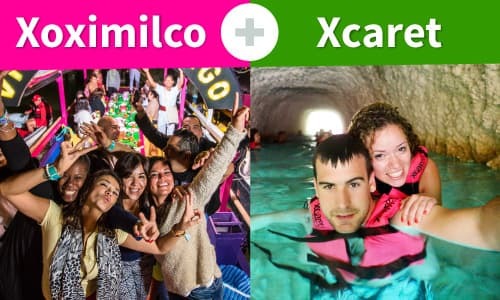 Xoximilco Cancun activities are recommended for children over 5 years old (children must be accompanied by an adult at all times). Book in advance to ensure your admission. Remember to bring the printed proof of purchase. Bring comfortable clothes and shoes, we recommend you to use long pants. If the tour is with transportation, confirm the time and place of departure. Bring insect repellent be free of the following chemicals to be use in the Park: Benzophenone, Etilhexila, Homosalate, Octyl Methoxycinnamate, Octyl Ssalicylate, Octinoxate, Oxybenzone, Butyl Methoxydibenzoylmethane. Bring cash so you can go back home with a souvenir. 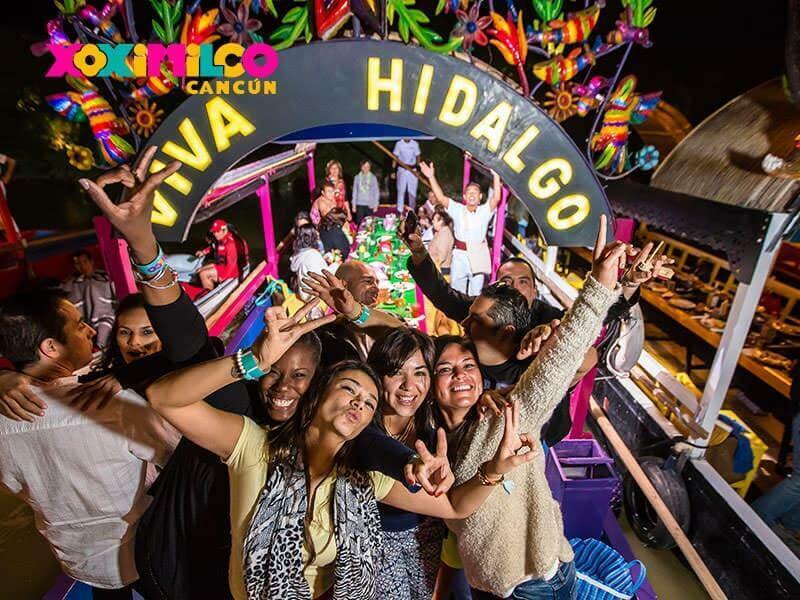 If you go in group remember that the maximum capacity of the Mexican Gondolas is 20 passengers. It is not possible to make the change of date the same day of your visit. 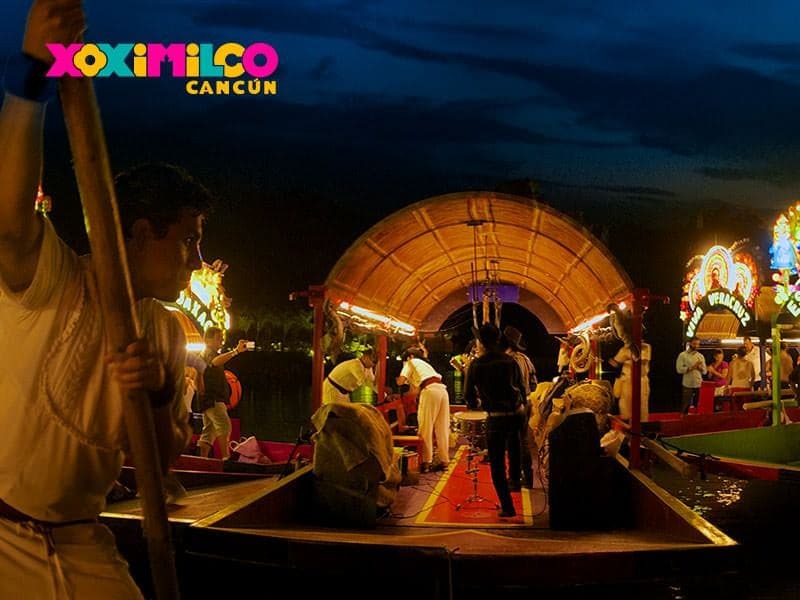 The Mexican Gondolas have a maximum capacity of 20 passengers. 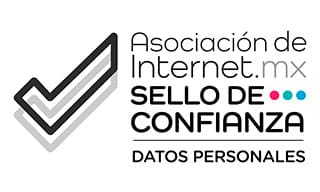 * Children from 5 to 11 years old pay 50% of the adult price. 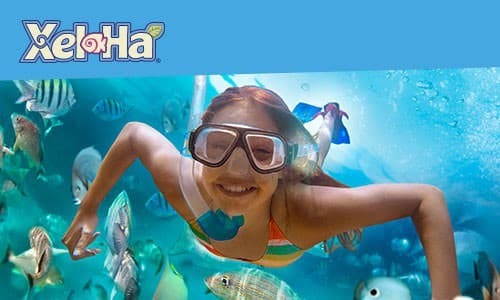 -10% OFF purchasing 7-20 days in advance. Prices are subject to changes without prior notice.